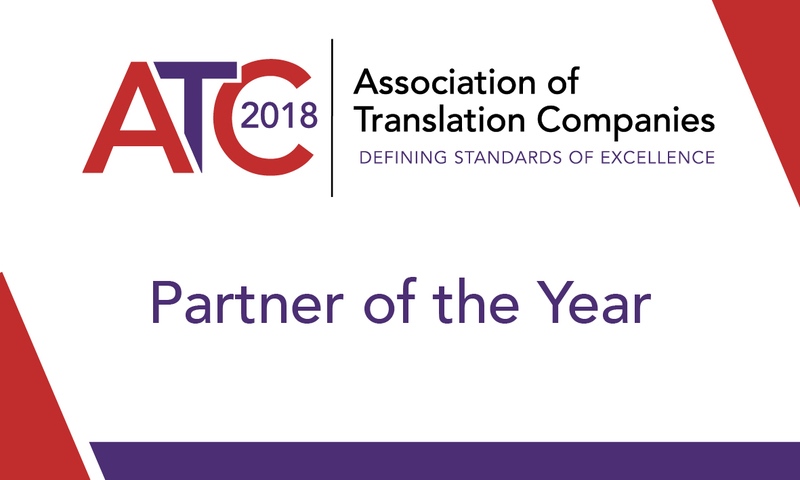 ATC Partner of the Year Award – Miton Systems Ltd.
What a surprise that was! There we were, day one of the ATC Summit over – we had met some really interesting people and some great new contacts – all dressed up in our ‘glad rags’ at the Gala dinner, and listening to the awards section and MITON were called up to receive the prestigious Partner of the Year Award! Well, I am glad I had put my best dress on! Impromptu speech – I love being on stage so that wasn’t a problem – and a super award in our hands! 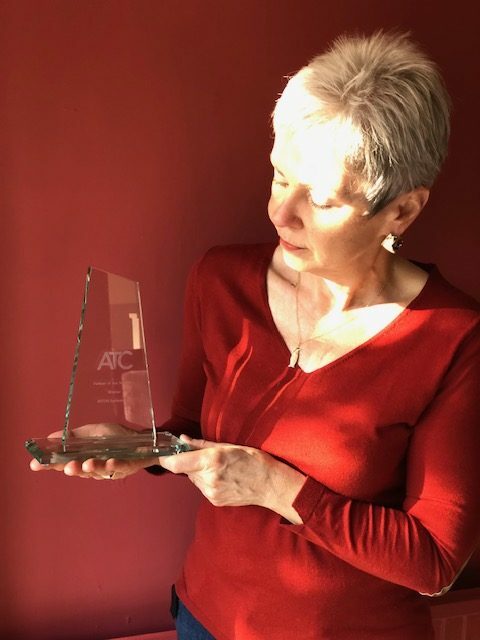 The award was judged by the ATC Secretariat and was to reflect a partner who had been demonstrably supportive, reflecting the qualities ATC Members are seeking in their commercial partners. The award was to be given to a Partner who understood the importance of languages skill in the UK economy and works to deliver exceptional solutions in this industry. We were thrilled and delighted to be thought of in this way and to receive this award. We sincerely believe it’s really important to support an industry body like the ATC, and we were pleased we were able to support both the Summit and work with the ATC team to try to give back to the Industry where we could. I would encourage other technology companies that are suppliers to this market to step up and contribute in this way.